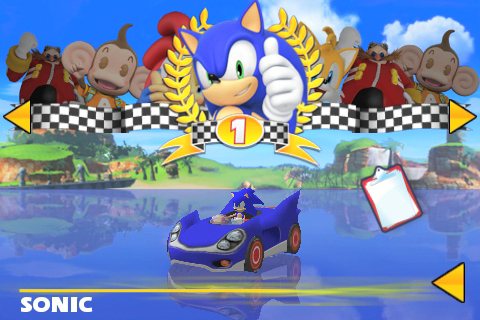 Just in time for for Sonic’s 20th B-Day comes a port of Sonic and Sega All-Stars Racing to the iOS family of hardware. This includes iPad, iPhone and iPod Touch. It seems to be a closer port of the console version rather than the DS. Hopefully, this is the final port until SASASR 2 comes out. This thing’s been on every system imaginable and even to the arcades! The best news out of this is an introductory price of $1.99 U.S., ~1.19 Europe! (I don’t know how to make that European $ key on my keyboard. Whaddya want from me? I’m a Yankee!) Make sure you have a newer model of iPhone/iPod as the framerate can get a bit choppy on older systems. Cool I guess, any 20th anniversary article coming today? Check out what TSSZ did, lol. Wasn’t there a rumor of a WP7 version at some point? Euro sign is Alt Gr+4 to give €. On UK keyboards at least. Off topic, but I really liked.the SG demo 😛 The only thing was that the graphics looked a bit…weird(not good) I hope the full game will be in 1080p! The Xbox Live Marketplace page for Sonic Generations says the Xbox 360 version is 720p, while the page on the PS Store says the PS3 version supports 720p and 1080p. 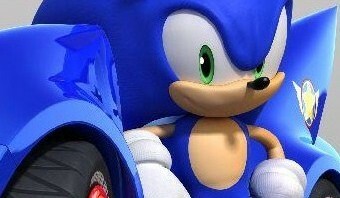 Do you think in the full game SEGA will put 1080p for Xbox? The Xbox can also support 1080. SASASR 2? :O or are just wishing for that? I can confirm that the Sonic Anniversary Sale is also on Xbox Live, and Sonic 3 and Sonic & Knuckles are also discounted. There’s no bundle, but all the games in the bundle are on sale on XBLA. What? The game doesn’t have Shadow, what is this? I hope they come out with extra content for this because it really needs more characters in the game( like ristar) and it would be nicest have a sound test.